The following materials were emphases in past years, but are still able to be used by your church. Some materials can be downloaded. While copyright laws prohibit us from providing downloads of some resources, they are available for free by mail to our MBC churches through the ministry of the Cooperative Program. If you have any questions, or would like to place an order, contact Carla Martin by email or by calling 1-800-736-6227 ext. 361. 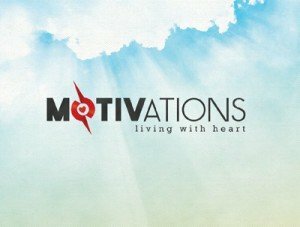 Motivations: Living with Heart is a four-session stewardship study. Christian giving strengthens the resources available to churches today for witness, ministry, and missions. Our personal generosity encourages others to give generously as well. 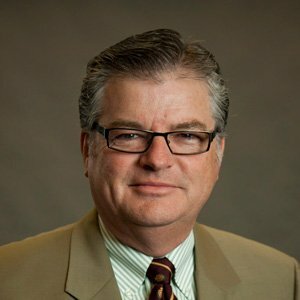 The Kingdom moves forward on the corporate strength of congregations that have set their communities. God has interceded in the hearts of believers by sending his only begotten Son to forgive our sins and restore the worthiness of our lives. Christ appeals to our sense of gratitude and asks that we invest our wealth in His Kingdom of righteousness. When believers invest financial resources in missional purposes we are building an eternal Kingdom. The final consequences of our generosity can only be measured in the light of the last revelation of God’s intention for us. but we know our gifts have eternal significance. Transitions: Discover the Generosity Factor is a three-session, church-wide emphasis on stewardship with the intention of celebrating God’s tender care and shepherding through constant provision toward His children. This focus on Biblical truth will come from the book of Ruth. When a church decides to conduct the emphasis, members will be challenged in the areas of God’s blessing, our stewardship commitment, and opportunities to extend God’s blessing through our own generous giving in mission involvement. 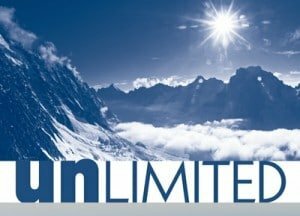 Unlimited: God’s Grace & Glory is a three-session stewardship emphasis that provides local congregations an opportunity to impact this world. When a local church determines to conduct an Unlimited: God’s Grace & Glory emphasis, members will be reminded about the stewardship responsibilities in the areas of the gospel, our giftedness, and our need to be generous stewards! 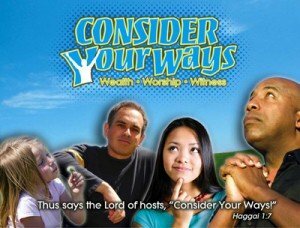 The Consider Your Ways emphasis is a three-session church stewardship resource specifically designed to encourage members to utilize the resources God provides to invest in His kingdom, give priority to God, and allow their life witness to have priority. When believers give priority to worshiping the Lord, it impacts their available resources to invest in the Lord’s work and to the spreading of the gospel throughout the world. Catch-Up Sunday is a one-day special offering. This emphasis is designed to focus on catching up on budget needs or perhaps a special church need, encouraging church members to give sacrificially. 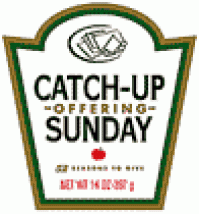 It is suggested that Catch-Up Sunday be scheduled on the first Sunday of a month; it is not designed to replace the need for an on-going Stewardship plan, but to supplement the specific needs as identified by the church. 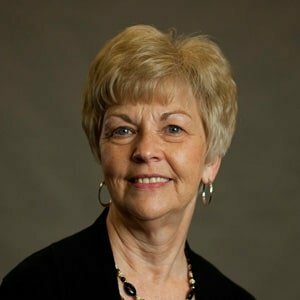 Biblical Stewardship offers this emphasis kit free of charge to churches. Inside this kit you’ll discover promotional tools to enable you to walk through this Stewardship emphasis easily and effortlessly. We encourage you to pray for the Lord’s leadership with regard to sacrificial giving and promoting Kingdom growth. Refresh is a 3-Sunday church stewardship resource specifically designed to encourage members to Refresh our Faith, Restore our Families & Revolutionize our Finances. When believers give priority to our faith in the Lord, it will lead to a restored biblical value of our families and provides opportunity to give from our finances to the Lord and His work.